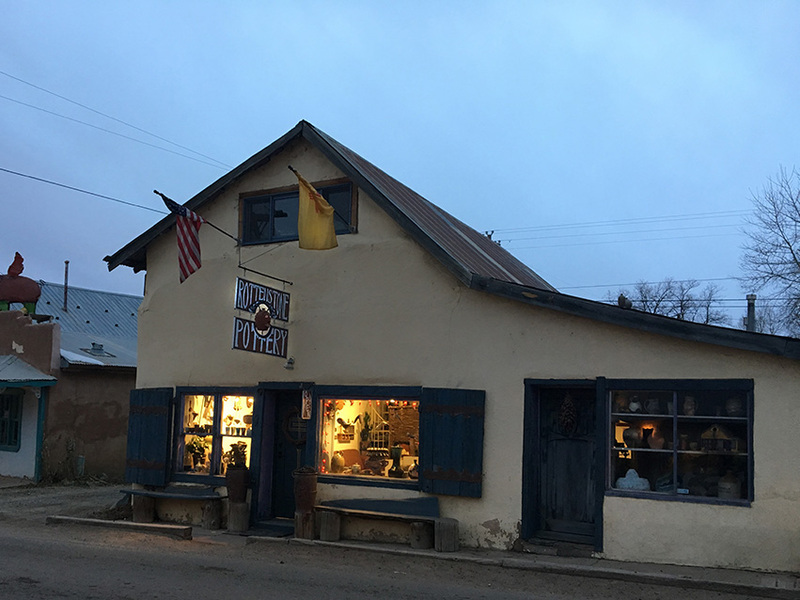 Arroyo Seco has long attracted artisans and lovers of of food, visual media, fashion and whimsy, and of course a lot of northern New Mexico culture and flare. 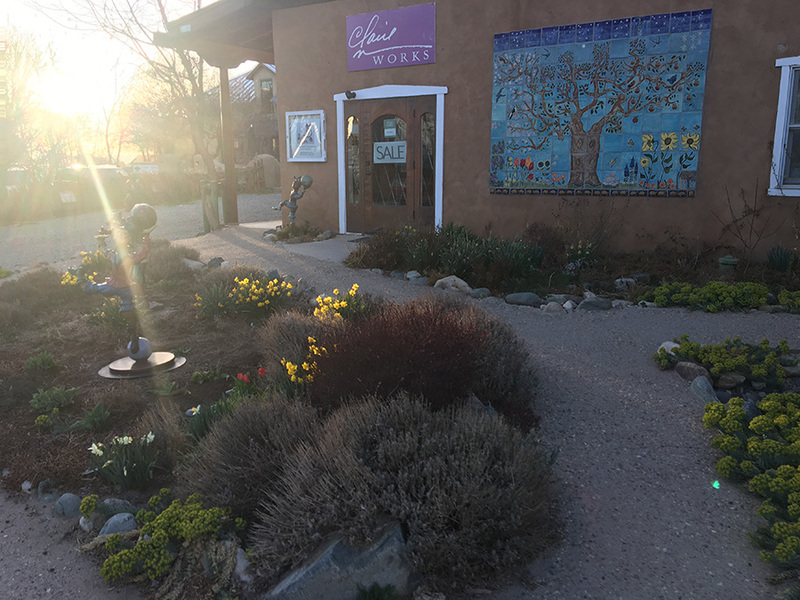 Over twenty small, locally owned businesses help make Arroyo Seco the Jewel of Taos County. Seco offers visitors excellent Dining and Lodging opportunities, and a lovely setting in which to relax, shop for unique and locally produced items, and an easy and beautiful point of departure to Taos, Taos Ski Valley, Ojo Caliente, the Enchanted Circle and southern Colorado, and the Rio Grande del Norte National Monument. Abe’s is the definition of unassuming. A cornerstone of the Arroyo Seco community, Abes Cocina (Kitchen) offers breakfast and lunch cooked to order in true northern New Mexico style. Often touted as the best Breakfast Burrito in Taos and beyond, they know how to cook it up like only mama can. In addition to diner style seating to enjoy your local delicacies, think rich and hot Pork Posole, or breakfast burrito with egg, cheese, potato and Chicarones (more fried pork), is a small stock of basic grocery provisions. Sharing the building is the famous, and infamous, Abes Cantina (Bar). Grab a seat at the long wooden bartop, or carry out from their cooler. 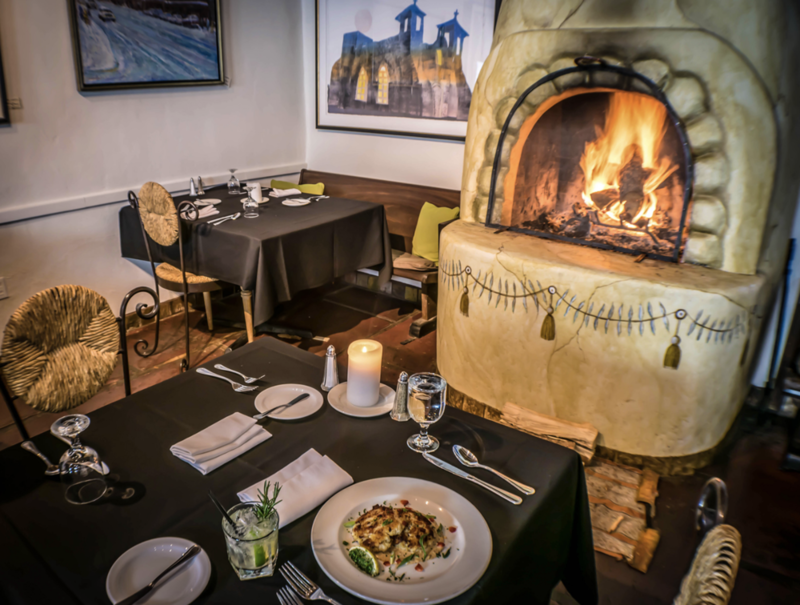 Aceq is open nightly from 5-9 serving diners organic, inspired dishes made from scratch. Offering a short and often changing menu of creative and comforting items, Aceq also boasts a lovely wine selection matched to their plates. You can stop in for a quick amuse-bouche and a glass of great wine, but our favorite is to bring in a group, settle in, and literally order one of everything. Antiquarius Imports bring fabulous rugs, housewares and textiles from around the globe into our little town. Their aesthetic fits right in with local styles, but adds a touch of global flare. 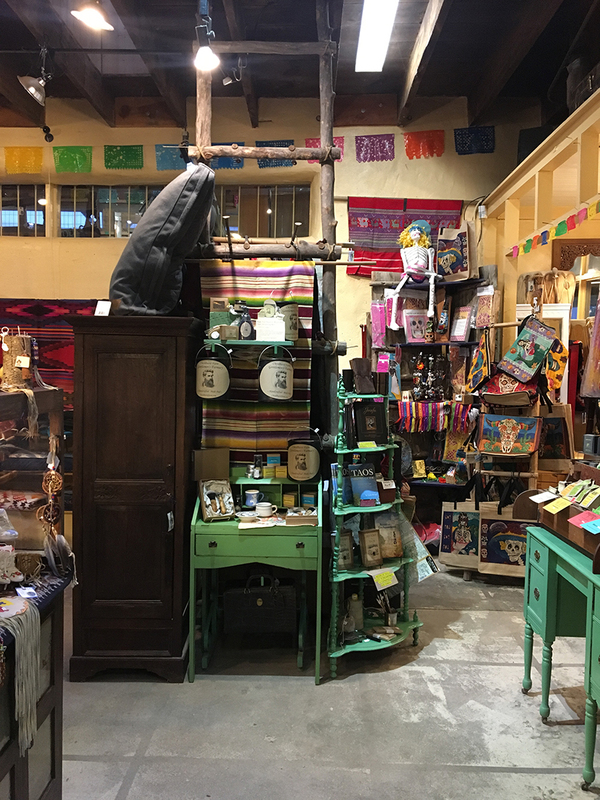 Seco Mercantile is the icon of Arroyo Seco. Their old truck parked outside is a photo pit stop for many visitors, and once inside their variety of local, estate jewelry, Pendleton wools, and local gifts are always a sure win. One of the last spots around with a penny gumball machine, this place is a kid magnet, but vintage housewares, local, handmade and Catholic devotional items set in a historic building pull even the adults back in time. 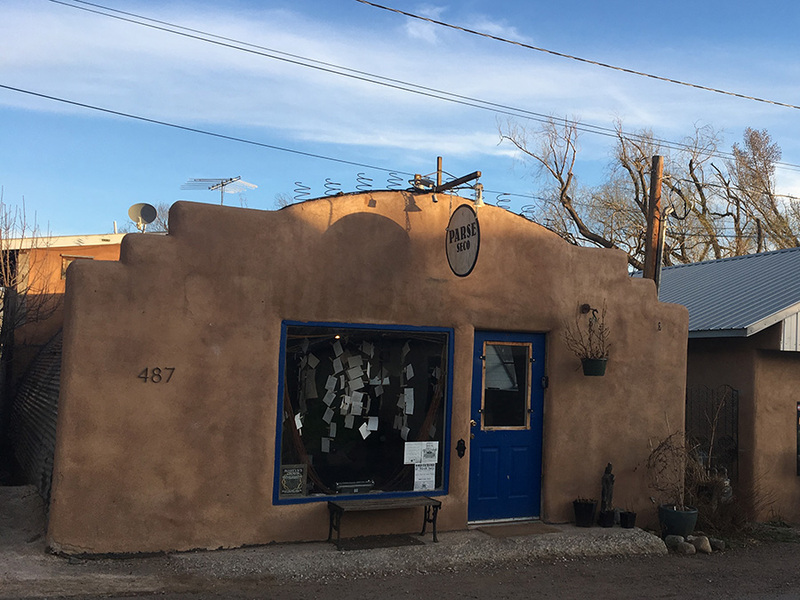 Claire Haye is an artist, writer and jewelry maker and a long-time resident of Arroyo Seco showcasing her work inside and outside her store. Her jaunty surreal bronze sculptures and hand made/painted ceramic tiles adorn the garden paths out front, and inside a contemporary jewelry store with one of a kind and limited edition designs are sure to please. Francesaca’s Taos Style is elegant and comfortable, trend-setting women’s fashion. Francesca’s building was the Arroyo Seco Post office before the new one was built just outside of the main town area. A New York Native, Francesca brings her big city chic and love of outgoing and comfortable fashion to locals and visitors. She’s excellent at putting you in the right garments to rock any occasion, H to T.
Fine Art New Mexico offers the best printed images in the valley, and Jack and Liz work with a talented trove of artists whose work they perfect, print and share with the public for purchase. In addition to being the best place to buy highest quality reproductions of regional artist work, FANM can help anyone bring historic images to life through museum quality restoration. Jack is an artist’s artist, and that’s why so many photographers and fine artists trust him exclusively to bring their work to print. Henry Architects, David and Alex Henry, are tucked back off the highway behind Santos Y Mas, providing architectural and design services for private and commercial clients. Hot Yoga Taos offers Yoga in a heated space on a weekly class schedule to stretch and strengthen, and owner Anice Joy also runs Stand-Up Paddleboard rental and Yoga on a Paddleboard experiences around the area. Logan Wannamaker Pottery is a bit of a departure from our other local pottery shops. Logan’s shop is sleek, and he tends toward whites and calm color accents, the feeling inside is serene and spacious, and the tactile elements of his work are truly inviting. Contemporary Gallery, Artist Residence program, and performance space by Cecelia Cuff has been a welcome addition to the village, bringing some evening action, with open mics and band performances, participatory art exhibits, and promotion of local creatives. Pop your head in and see what’s going on now! Rottenstone is housed in a rustic and historic, two-story building in downtown Seco, and features one of the most iconic shopfronts. This ceramics and fine art collective gallery features a rotating cast of about a dozen local artists as well as resident potters who pride themselves on the use of traditional Anagama wood fire techniques, building their kiln and then burning massive amounts of cordwood over days to fire their pieces in the open high desert areas west of the Rio Grande gorge. This American restaurant, Bar and Package is set in a historic adobe hacienda giving it a very romantic fairytale feeling. Full bar and package augment a lovely happy hour and dinner service daily with live music nightly. Great summer patio, huge space, great for weddings and celebrations. Eclectic northern New Mexico at its best, Santos y Mas features Santos and Milagros (Hispano-Catholic devotional aids) for all your prayer and ceremony needs, and they feature the work of local artists, books and images about local life, and one-of-a-kinds and vintage items collected from all over by Miss Patty. Scotty is always up to something. You’ll find his 24 hour indoor/outdoor pottery gallery on the banks of the Rio Lucero under the willow trees. Unlike most retail outfits, Scott leaves a jar out for your to pick up and pay on your honor if he’s off somewhere enjoying the day. Remarkably, this system has worked for him for years with very few issues. One of the things we love about our little town is that, in general, you can enjoy this live and let live ideal. 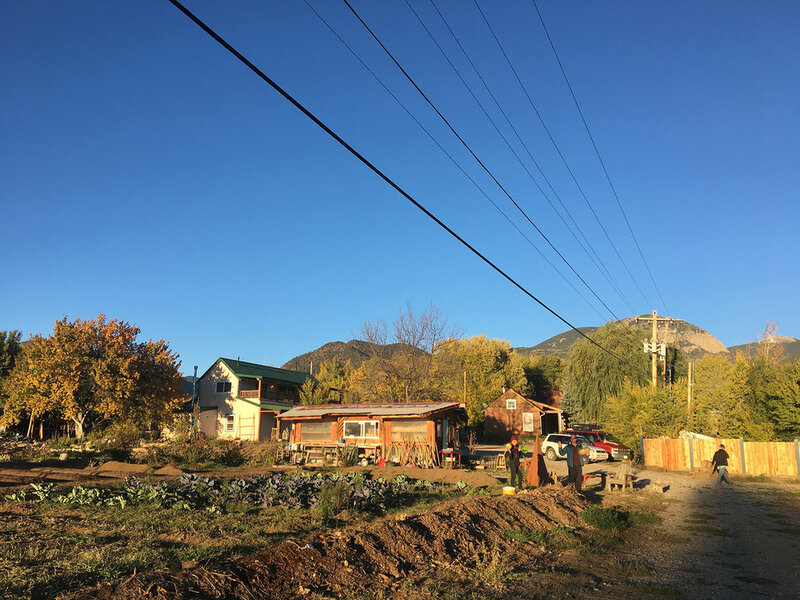 Stay in a home-spun hostel in the heart of pastoral Arroyo Seco, just steps from Taos Cow’s home made Ice Cream and breakfast, or eat fresh healthy community meals on site. This cooperative space is always changing and adapting based on the people who come through and put their love and energy into the work of the family-run hostel. With a working farm on site, Snow Mansion has greenhouses, fresh veggies and herbs, and they are always brewing or stewing something magical. Sol food offers a high class grocery shop, a delicious coffee/smoothie/deli/bakery and gift shop. Locally owned, Sol Food opened here in Seco over 6 years ago and the community couldn’t be happier that they did. Taos Cow is on a short break from serving us. They are seeking a new Arroyo Seco location - we anxiously await their re-opening in whatever form they choose. Taos Cow is one of those places that makes up the heart of Arroyo Seco. Everyone who’s ever been to Taos, it seems, has made their way up the hill to taste and enjoy the home made World Famous Taos Cow Ice Cream. Dine inside, out on the deck or down by the creek. This is one of the more enjoyable spots to take friends or family to talk, play, and enjoy great whole food deli and diner fare. Daily lunch Specials, full espresso bar, great breakfast and daily baked goods round out the offerings – everyone will get what they want.